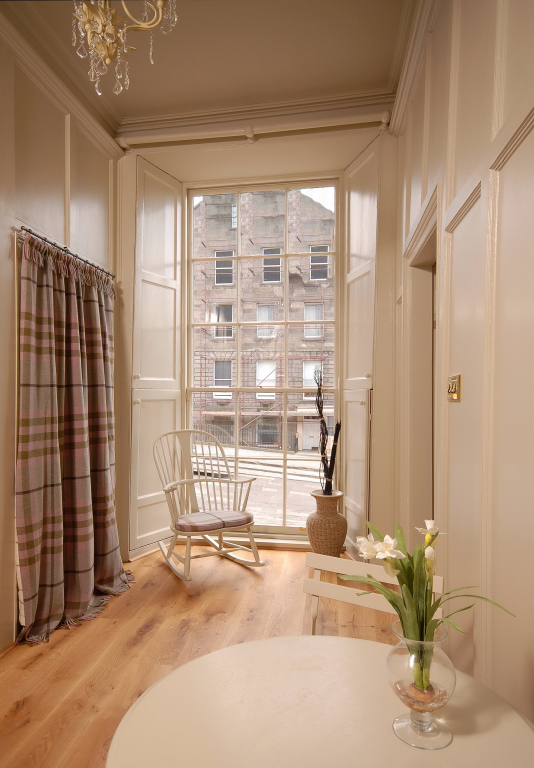 Situated in Edinburgh’s New Town, widely considered as one of the finest examples of Georgian architecture and planning in the world, this superbly positioned studio apartment is a compact, well-designed and traditionally panelled space. 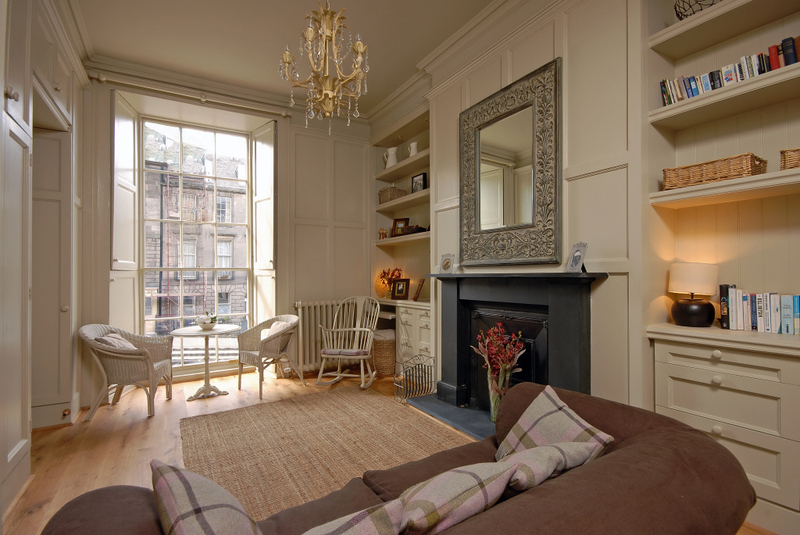 Completely refurbished in 2010, the apartment provides a perfect retreat for couples intending to take advantage of the amenities of the city centre, which are all within easy walking distance. For the keen fashion shopper, its position on the corner of Dublin Street and Queen Street leaves it close to Harvey Nichols and Louis Vuitton, just off St Andrews Square in Multrees Walk, and Jenners, Edinburgh’s renowned department store to the south of the Square. 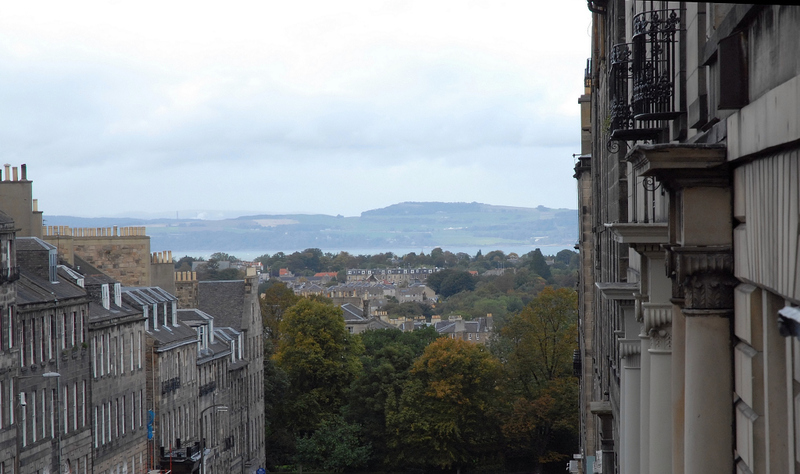 Entry to the ground-floor apartment is via a flight of steps from the slope of Dublin Street (no wheelchair access), from which there are superb views across the New Town towards Drummond Place, the Firth of Forth, and Fife beyond. In the first room of the property, hidden behind sections of panelling on your right you’ll find an entire modern, compact and extremely well-equipped kitchen. Deceptively large, the depth of the granite worktop creates a spacious surface for preparing meals (2.0m x 0.85m). Built-in energy-efficient appliances include a dishwasher, combination electric and microwave oven, electric induction hob, integrated fridge and extractor fan. Ample crockery, cafetieres, cutlery, glasses, pots and pans, and a kettle and toaster are supplied. A table with 2 chairs completes the setup. Salvaged oak flooring is laid throughout the flat, leading on to the west-facing sitting/bedroom area, the enormous windows of which allow the afternoon and early evening light to stream in and afford guests a fabulous view of the National Portrait Gallery on Queen Street. The wooden window shutters and heavy lined curtains close out the light at night, promoting sleep and ensuring that the apartment stays warm and cosy during the darker winter months. 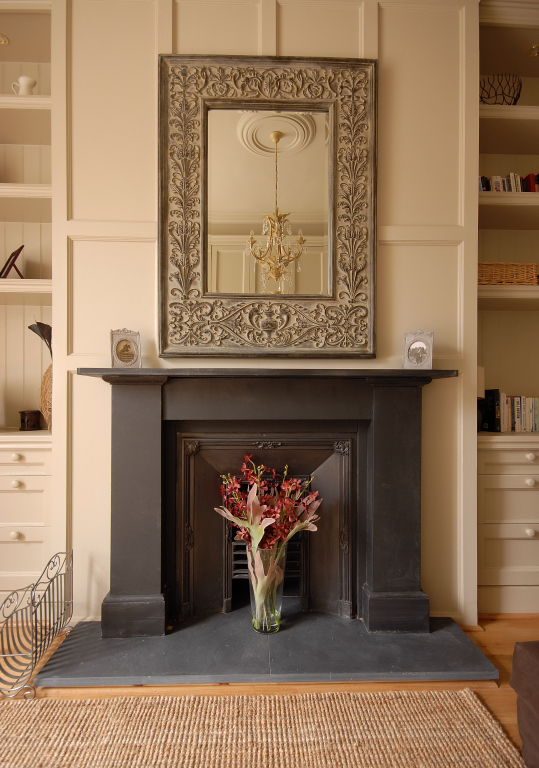 The focal point of this spacious room is a black marble fireplace which is flanked on either side by extensive shelving and cupboards built into the panelling. The room has a sofa, table for 2 by the window (so you have the choice of eating either here or in the kitchen), a couple of rattan chairs, and even a rocking chair for you to relax in whilst you read one of the many books on offer. At night, you open the cupboard opposite the fireplace and out pops the King-sized Murphy bed. There’s ample space to store your suitcases and hang your clothes in the walk-in cupboard at the back, where you’ll also find the boiler, integrated washing machine, iron and ironing board. The ultramodern shower-room is accessible from both the sitting/bedroom and kitchen area. Bright and roomy with a combination of panelled and tiled walls, the extensive use of mirrors and mirrored cabinets further enhances the feeling of space. 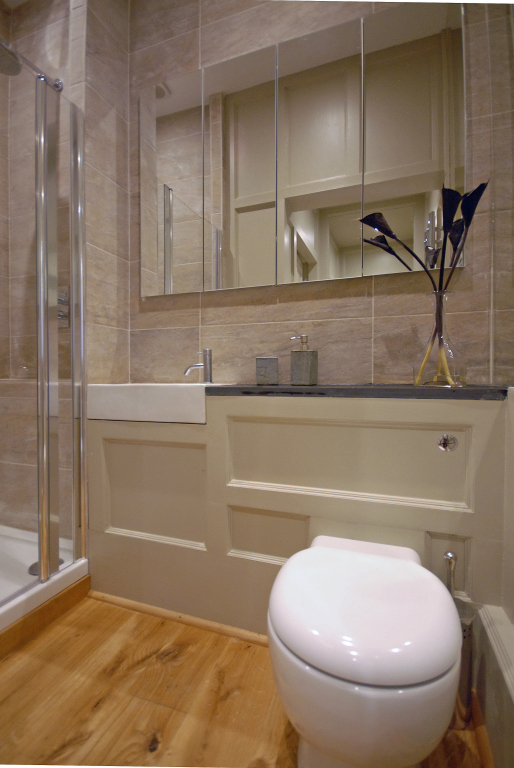 There’s a slate worktop with wash basin and mixer taps to the side, as well as a stainless steel ladder-style heated towel-rail.